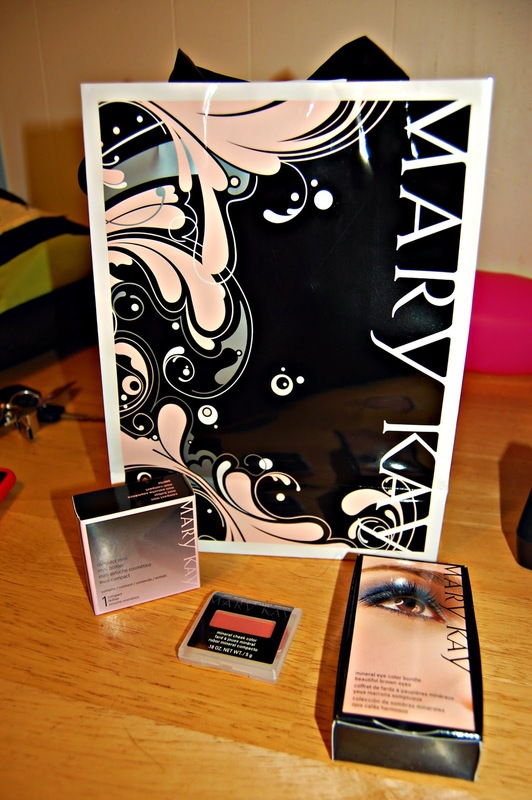 *Mary Kay sent me free make-up and give me the option to write a post. 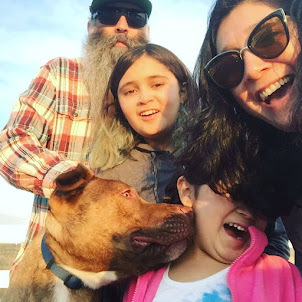 So the problem with having an absolutely natural beauty for a Mom is that she wore very very little make-up. So when I got to the age where I wanted to wear make-up I was on my on. I never really learned how to use all the shadows and pencils and everything else. In fact I didn't learn how to properly put on eyeliner until I was in college. When I was given the opportunity to try out some of Mary Kay's mineral make-up line I jumped at the chance. I was excited when my package arrived. In my bag I found the mini-compact, the mineral cheek color in Sparkling Cider, and a mineral eyeshadow for especially for brown eyes. But the best part of the package? The instructions on the inside of the packaging. Step by step instructions with pictures. Exactly what I needed. 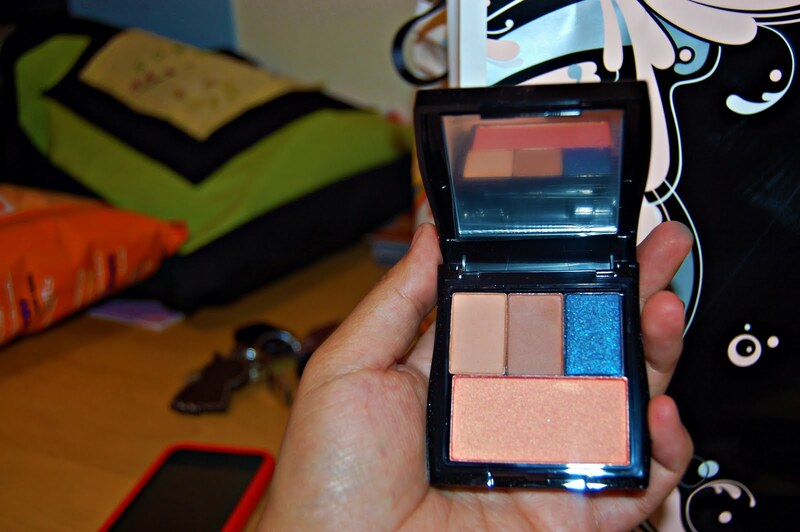 I filled the mini-compact with the blush and the eye-shadows, midnight star, sienna, and silky caramel. So I followed the instructions and loved the beautiful blues and browns. I found the mineral makeup to last on my face a lot longer than my other make-up. My face tends to absorb my make up after just a few hours. I am still practicing and having fun experimenting with colors.